Another good few weeks of birding and photography. 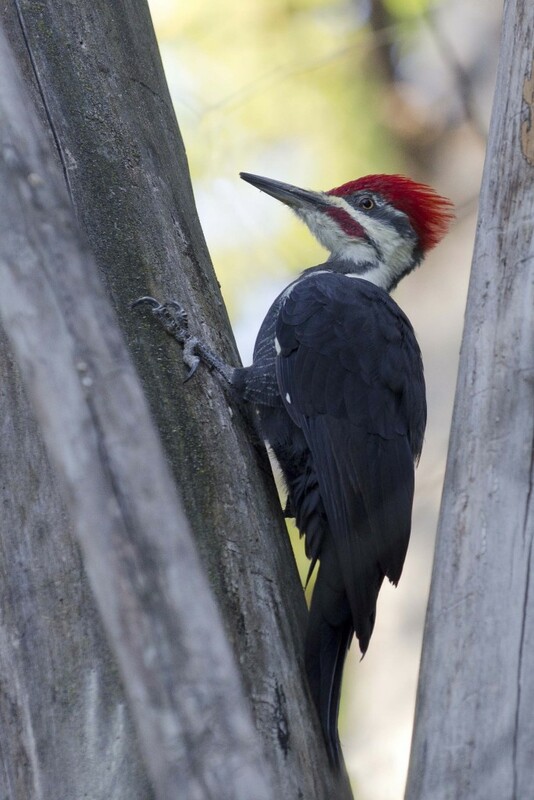 The other day I was working around the house and while taking a break, decided to check out, if any birds were being seen locally. Opening my email, I noticed that someone had seen a Marbled Godwit. They had posted this early in the day, so it might still be at Shirley’s Bay, I went about my work, thinking I’d go later. About an hour later I checked again, and saw a post about 2 Hudsonian Godwits…and thought ok I better get down there, looks like there’s some action happening. When I got to Shirleys Bay, I met Chris and Bob, who told me about all the Shorebirds and Hudsonian Godwits, when I said yes I’d read there were 2 of them. They then told me there were 31 birds on the point, now. Wow, for me this was the most I’d ever seen in Ottawa at one time. There were many birders and tons of shorebirds, every once in a while, a Peregrine Falcon, would spook the shorebirds up. Giving everyone great looks at markings. See if you recognize any. 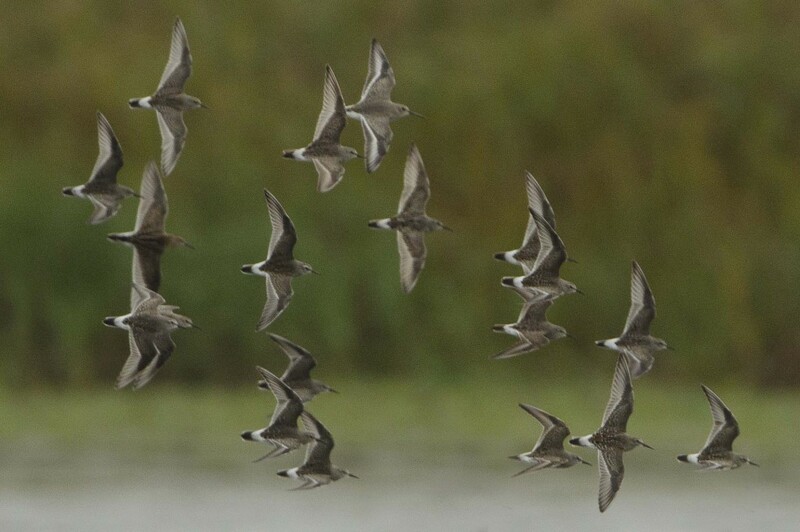 As I was leaving something clicked when talking to Bruce Di Labio, I asked why was everone so pumped up about the phalarope they were seeing. 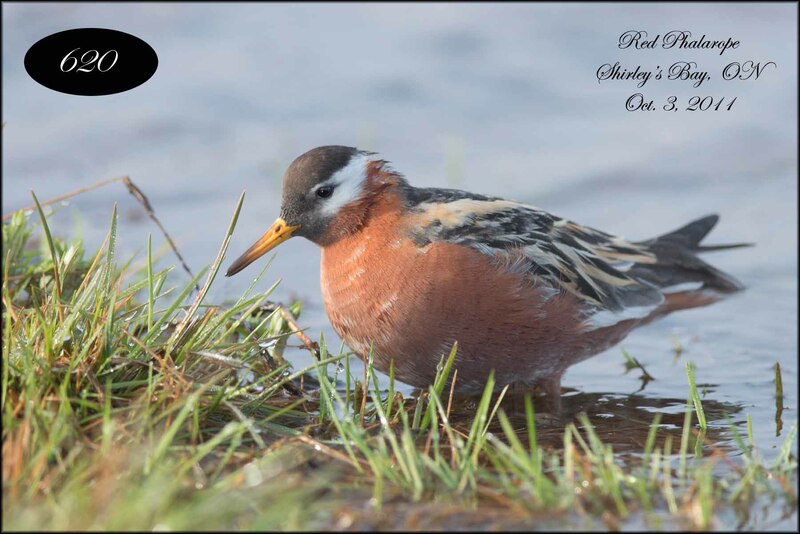 For the first time that afternoon, I realized, my mind had not registered “Red Phalarope” ( a life bird for me). I had been thinking Red-necked Phalarope…I knew I’d had some good views of the bird but it hadn’t registered. I ran back found the bird and tried to get an workable image but lighting had gone from bad to worse. It was impossible. 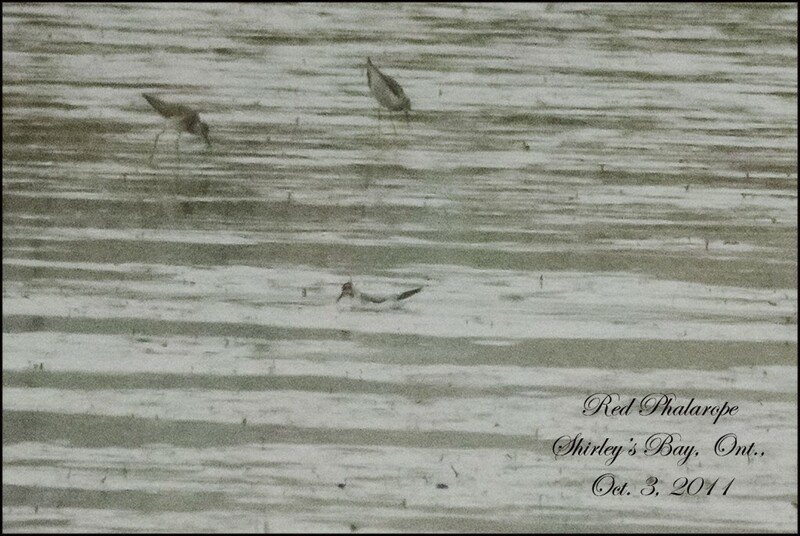 I did manage one image but you’d really have to be a dedicated birder to know tis was a “Red Phalarope” but a photo is what I wanted no matter how bad, I will have many opportunities in life to see other Red Phalaropes…but this was my first photo…crappy as it is. Since then I’ve gotten a fantastic closeup of a breeding adult. Great shot and interesting blog !